Who is the AEGEE member of the year 2017? Which antenna, which project was the best? What were the highlights of the year? And what will 2018 bring? The Golden Times asked more than 70 locally or Europeanly active members. In this seventh edition: read what Tekla Hajdu, Marco Daniele, Elena Efremova, Pablo Palazon Riquelme, Katharina Jiménez Weese and Sabine Zwaans said. Tekla Hajdu: Apart from being Network Director in CD54, being elected as Chairperson at Agora Catania. I have one positive and one negative: the positive one is the CD on Track initiative, which allowed me to meet several locals during my journey, get to know them and help them for their future development – I was happy to see many of them being more active in statutory events or in organizing events. And in the middle of the journey, EPM Zagreb was a really memorable event for me which showed how international cooperation can make a remarkable statutory event. I hope CD on Track will continue by the current and upcoming CDs to get closer to the locals. The negative one was Agora Enschede which showed me the “dark side” of the organization and how our values can be completely twisted by certain people not respecting basic human etiquette. I would like to mention two teams and nominate their members for the title. First of all, part of CD54 who were doing a great job and being my friends in the CD House: Lia, Réka and Zvonimir; and secondly, the NetCom team members, who were great colleagues and doing a lot to improve the network – especially Spyros and Alejandra, the two speakers whom I’ve worked with the longest. I hope I can nominate my Chair Team for this position next year, so far the work we’ve done is prolonging that we’ll be a good team! As a former Network Director, it still wouldn’t be fair of me to nominate any. However, I would like to express my gratitude to the three locals that hosted the three statutory events in 2017, and also to the many Network Meeting host locals who decided to take a step further and organize the events. I expect quite a number of proposals for Agora Kraków, therefore I think this Agora will be one of the highlights of 2018. Being the Chairperson for Spring Agora Kraków and Autumn Agora Istanbul. Also I am now in the Advisory Board of AEGEE-Budapest, so I would like to support them until my term ends. I will spend my New Year in Leiden at the event “NYE AEGEE-Leiden: Grab Life by the Uiers”! Marco Daniele: My 2017 had an impressive amount of highlights. Imagine that before EPM Zagreb I never even walked on the stage! Anyway, if I have to choose one, I think it would be a very particular night around October, spent between my PC and the archives, in which a very small, but still not bad for my standards, light bulb popped up above my head and I felt like I was starting to understand the real depth of AEGEE processes and structure. Since then, the light bulb is still there and I hope I will have the occasion to share it with everyone before and in Krakow! If you prefer a more public moment, it would be when I knew that my local won the first place in the Summer University ranking, even if I wasn’t there at that moment, with the project I launched one year before. I know it can sound cliché, but Agora Catania was an amazing show of everything beautiful and not-so-beautiful AEGEE can offer. This magic travelling democracy circus never fails to touch me somehow, and my deep love for that particular local added to the fact it was my first Agora as a Comite’ Directeur member, which made me go full emotional for the occasion. Bravi, AEGEE-Catania’s picciotti! I’ll give you only one name, but on the other hand you’ll let me be a bit populistic, deal? So, the single most amazing member of 2017 is Réka Salamon, in my opinion. Her bravery, her intellectual honesty, her incredible understanding of the situation of our association is unbelievable. I may not always agree with her, but I know there’s always a good reason why she says something and it’s worth exploring it. If it wouldn’t have been for her, I would be in Torino at this very moment – you know who to blame now! Then, let me spend a couple of words for a category we often ignore: I would like to nominate as most outstanding people of 2017 all the locals superheroes, all of those people who are working hard to help out their locals and who are able to supply what AEGEE-Europe sometimes fail to offer. You are our everyday motivation and the real reason why we want to try to make your, and everyone’s, life easier. As Network Director I prefer to not name any particular local. I would just like to say that the antennae I personally feel more proud of for their 2017 are AEGEE-Torino, AEGEE-Catania and AEGEE-Paris. AEGEE-Torino organized a Network Meeting, was Local of the Month, Active Local of the Month, organized the Best SU plus an indefinite number of super successful local events in five months, more or less; AEGEE-Catania for it’s Agora; and AEGEE-Paris had an amazing comeback, and I am very proud that I even had just a small role in it! A very hard choice. I will personally go for the Youth Development Working Group and the Summer University project, plus SUCT, of course. The first one is accomplishing amazing results, while the second one was one of the best organized and most effectively working teams I had to pleasure to collaborate with. Much love for ya, people! I foresee AEGEE locals taking action with our help and decide what is our future. P.S. : stay tuned, the Network Meeting sessions are going to give us some results soon! Many plans, many doubts. I think for now the only thing I can say is that I want to make my last Agora as Comite’ Directeur member count, so let’s see what can we get done for Kraków! Last year I said I was planning on making sure I won’t be able to remember it afterwards. Will you accept “sleeping in my bed” as an answer this year? Elena Efremova: My highlight happened on 30th of November at 7:14 a.m. when I sent the minutes of Agora Catania to the CD. I cannot even describe the feeling when that nightmare called “minutes” is little bit further away – because yes, the last night was full of nightmares. Hours of listening, reading and writing. Anyway, now I can for sure say: I loved what I did. Honestly, hard to say. I would say I still cannot forget drama during the Presidential Debate at Agora Enschede and the Motion of Oversharing at Agora Catania. I will nominate Erika Bettin, who is an example of keep dreaming through years. Paul Menczel for his motivation and work done to keep AEGEE-Helsinki alive. 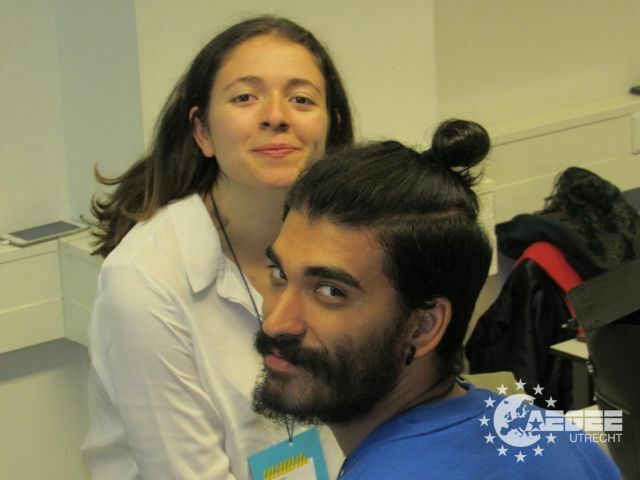 And Réka Salamon for everything she did for AEGEE. All antennae that organised statutory events this year: AEGEE-Zagreb, AEGEE-Enschede and AEGEE-Catania. The possible proposal to go back to the Flagship Project. I cannot say it would be good or not, but that will change much in the current AEGEE structure. 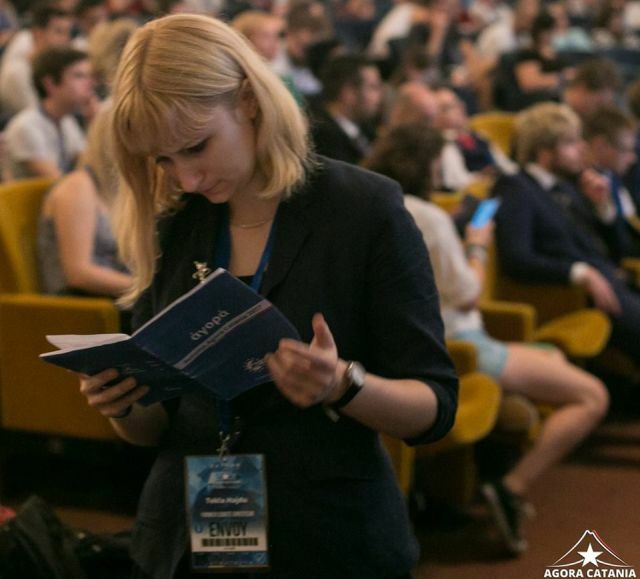 To be a good Netcommie for my locals and do projects I want and love – for example, launch an AEGEE page in Russian or organise the “NGO weekend vol. 2”. I wish all my dreams came true! Pablo Palazon Riquelme: My second and last term as Network Commissioner. It was super challenging due to the fact that I was also writing my PhD thesis at that time. I was completely overwhelmed by the amount of work required for both things. It was one of the most intense and challenging moments in my life. I thought a lot about self-management and survival skills. How to cope with the “I am underachieving in everything but still cannot stop” feeling and all that. Luckily working with the other Netcommies helped a lot, at the end of the day you are part of a team – and being part of that amazing team is incredible. The most memorable moment of this year is the election of AEGEE-Yerevan as EPM 2018 hosting local. Opening our statutory events to that part of the network will be written in our history! Sometimes we focus on “Well, not many people would be able to attend” or “This other local would have organised a really amazing and easy to reach event” – but, we are not only choosing the most convenient place, are we? It’s super difficult because a lot of people deserve a mention here! If I had to pick a few: Firstly, the working group coordinators. I think they have a really important and difficult role in a time when working groups are being heavily discussed – as it should be! This is AEGEE! I left Enschede with the feeling that the team who was elected was going to be successful! 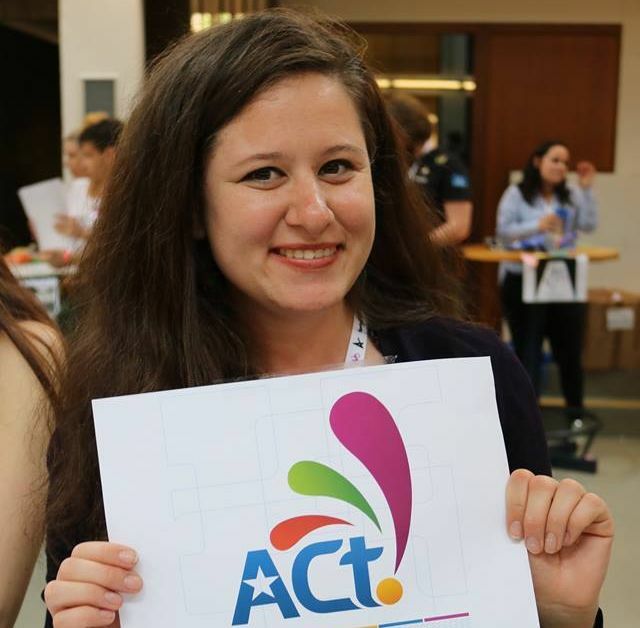 Secondly, Marina Klanjčić: super active in AEGEE-Zagreb, Network Commission and in other aspects of AEGEE. Definitely she has being an outstanding member this year and she is a really good pick for 2018 outstanding member too! Thirdly, Jorge Sánchez: he was one of the actors involved in making Europe on Track 2017 really successful. Also, his recent move to the AEGEE house needs to be mentioned! AEGEE-Berlin has been really involved in European issues and that put them in the map of Young politics in Germany! Also the always active AEGEE-Barcelona, which I think it has that superpower of making events look so easy to organise. To make something difficult seem easy and to be able to deliver amazing results is definitely something to mention! Europe on Track, which passed from happening every two years to happening every year. They have improved a lot after the 2016 edition which didn’t work as good as they wanted. They learnt from the experience and they made an amazing project. I think it should be how much Europe is moving from what it was before to what it could be. We are moving towards a European Union of cities or maybe towards a European Union of regions? We are still not 100% sure how regionalism and nationalism fit in Europe, and we should lead that discussion! In January I am moving to Lyon where I will be spending the next three years of my life. I heard that AEGEE-Lyon needs a hand so… who knows? I am in a position where I cannot invest much time but… hopefully I would be able to be at least a little bit useful for AEGEE! In sunny Murcia in Spain. After three years living in Manchester and facing three years in another country, it’s nice to spend some time at home! Katharina Jiménez Weese: Standing on the Agora stage at Agora Enschede for the first time after six Agorae was a personal highlight for me. We were presenting the AEGEE Day results together with the core team. Public speaking isn’t so bad after all! Another highlight was to return to Catania for the Agora, just to realize that AEGEE-Catania people are still as awesome as they were when they organized my first Summer University back in 2014! Apart from the fact that really every member is outstanding in his or her own way, I’d like to mention Matthias Felder from AEGEE-Bamberg for his great work both locally and now also in European bodies, as well as Zografia Lepoura from AEGEE-Athina and Iñigo Sesar from AEGEE-Bilbao for their work, dedication and enthusiasm in the Language Interest Group. As I am not living there anymore I guess we can let it count: my home local AEGEE-Bamberg is doing really well, we’ve got many new members and a lot of amazing events and activities going on. Proud of you, Bambis! The collaboration of the Society and the Environment Interest Group with Europe on Track 5 is a nice surprise! I am sure that the project will be a great success. I am definitely excited about Agora Istanbul 2018! I have no concrete plans, I’ll be spontaneous! I will spend New Year’s Eve with my best friend that I haven’t seen for a long time! What was your personal AEGEE highlight in 2017? 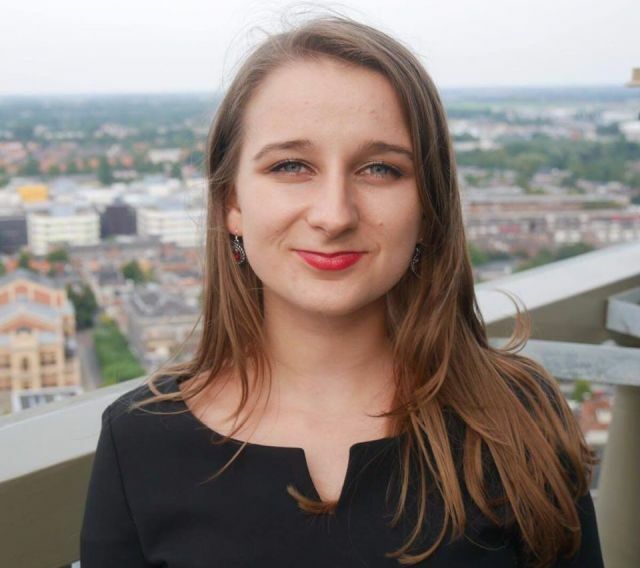 Sabine Zwaans: There have been many highlights for me in 2017 thanks to AEGEE. The experience of being in the board of AEGEE-Groningen has certainly been most of them. If I have to choose a specific moment I would choose our local general assembly when our new board was installed. The process of being elected and being installed has been an exciting journey, but this moment was particularly special to me because from this moment onward we could actually start our plans and activities for AEGEE-Groningen. There was this moment during Agora Catania when everybody held up their phones with the flash on in the dark. It was as if each light contributed to a sort of starry sky, much like members do for locals and AEGEE-Europe, but then also taking into account the connectedness and modernity of the network. Of course, the entire Agora in Catania was very memorable. Mark Pasma, a former board member of AEGEE-Groningen and current subcommissioner of the Network Commission. 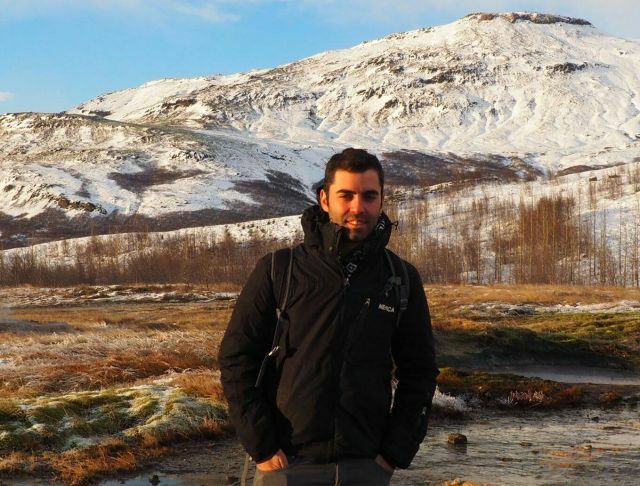 His ambition for AEGEE and travelling is motivating others, myself included, to become very active. Maria Zwartkruis, Netcom Commissioner. She is always ready to help others and she did a wonderful job together with Laura in the Network Meeting Utrecht. Martijn Haas, the president of AEGEE-Bamberg. He is very friendly and knows how to give an excellent city tour. Besides, he spent a lot of time with our group when we visited Bamberg and showed us the best places! AEGEE-Bamberg, for organizing a Nachtwächtersführung and a city tour when we visited them with a group of members. It was the destination of our hitchhiking competition and it would not have been the same without meeting with them. Also AEGEE-Catania, for hosting the Autumn Agora 2017. Their members and helpers showed such enthusiasm and dedication. There are so many examples of outstanding European projects. My favourite remains the Summer University project because it is so special to meet other AEGEEans in this way and see the value of our diverse network. 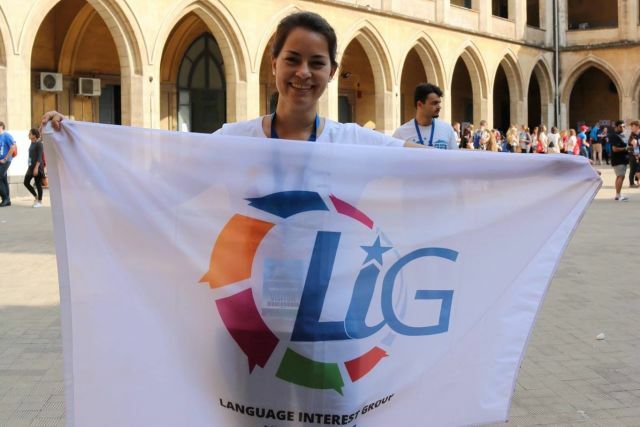 The second one would be the language match system by the Language Interest Group which allows you to find a speaker of the language you want to learn who’s interested in learning the language you speak. I think this is a very good way to learn more about a language and about culture. In many debates AEGEE strives for ongoing, big topics, such as youth mobility and participation in society, sustainability and climate change. The EPM in Yerevan and Europe on Track are good examples of how these topics will be discussed, but also concrete examples of our preoccupation with these important problems. I personally would like to see both the youth participation and the environment and sustainability as big topics in AEGEE in 2018. There will be plenty of excursions and hitchhiking competitions this year, in total there will be four more but I can’t tell you the locations yet! I am also going to the Agora in Kraków. Of course there will be a lot of local activities in our antenna happening as well and we will organize a European event in the spring and a Summer University. I look forward to meeting new friends from other locals! I will spend my New Year’s night with AEGEE friends in Groningen who are throwing a house party. Usually we celebrate together and watch the fireworks from their balcony, it has been a tradition for a few years now.